There is a phenomenal number of vehicle accidents each year in Florida. Recent statistics released by the Florida Department of Highway Safety and Motor Vehicles suggest that there are more than 200,000 vehicle crashes on the state roads each year, which involve more than 300,000 drivers. This all equates to more than 500 car accidents that take place on the state’s roads each day. While the state does not report comprehensive truck accident statistics, it is obvious that heavy vehicles cause some of the most dramatic accidents and increase the risk of serious harm and injuries to individuals. On a national level, there were more than 4,000 people killed in accidents involving a large truck or bus during 2013. If you have been involved or injured in an accident on the state’s roads, especially if another driver’s negligence caused the accident, you may have a right to seek compensation. At Wolfson Law Firm, LLP, we are ready to help. Florida has specific rules pertaining to the trucks and large vehicles that travel on the state’s roads, and an experienced accident attorney can examine how these relate to your particular case. We have experience in many forms of personal-injury law, and if you would like more information on how we can assist, schedule an appointment today by calling us at 305-285-1115. WSVN reports that federal investigators have concluded that a truck driver who collided with a bus made no attempt to avoid the collision. The accident killed four members of a community softball team. Due to the serious nature of the accident, the Federal Motor Carrier Safety Administration reviewed the case. Investigators have established that there was no attempt to brake or swerve before the impact between the two vehicles. The truck had simply continued straight where a slight curve appeared in the roadway, and it continued for more than 800 feet before colliding with the bus, which was carrying at least 15 people. The truck continued for more than 300 feet after striking the bus, crossing southbound lanes and eventually coming to a rest after uprooting a number of trees. The reason behind the dramatic accident is still unclear. 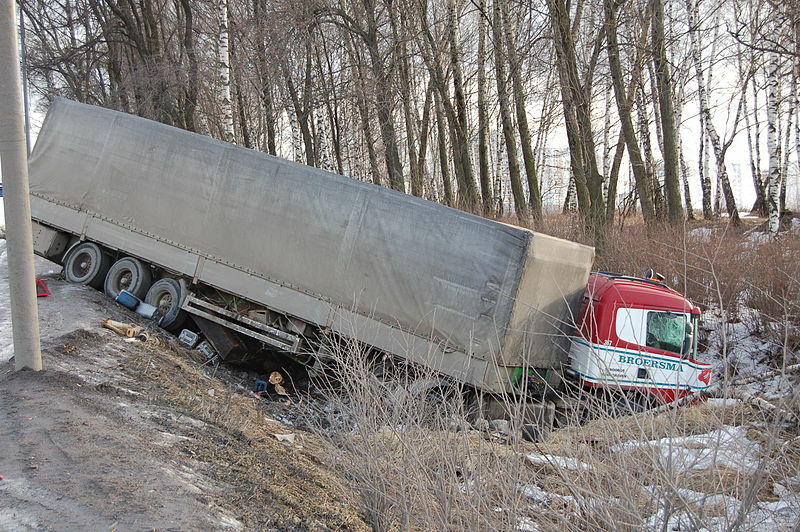 According to the report, the truck’s brakes showed no faults, and the speculation is that the driver fell asleep or was otherwise indisposed. The Miami Herald reports that officials were forced to close the eastbound lanes of the PortMiami tunnel following a serious truck accident. A cargo truck had broken down on the exit ramp, and an oncoming truck crashed into the gate arm that was activated when the facility closed down. According to the report, there were no injuries or serious damage as a result of the accident; however, it was the most significant accident that has occurred at the tunnel since it opened in August. If you have been involved or injured in a serious auto collision, an accident attorney may be able to assist you. Give Wolfson Law Firm, LLP a call at 305-285-1115 to set up a free consultation.